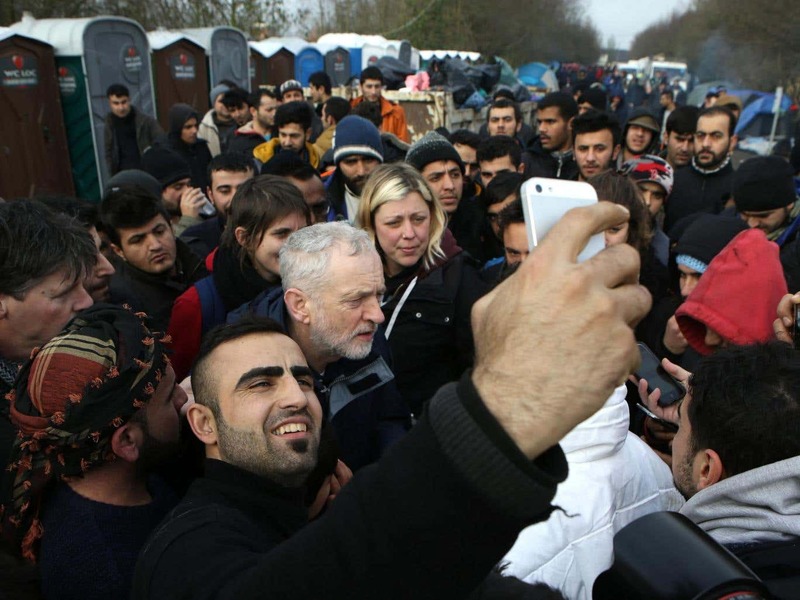 David Cameron has bizarrely claimed that when we leave the EU we will see Calais "jungle" style illegal immigrant camps all over south east England. The "Jungle" camp in Calais is home to tens of thousands of illegal immigrants waiting for the opportunity to illegally travel to England. It is rife with violent and sexual crime directed at their fellow illegal immigrants and to lorry drivers who try to stop them stowing away in their trailers. Various left wing political organisations, trade unions and groups of so-called "anarchist" agitators are in Calais helping the illegal immigrants break into the Channel Tunnel and storm ferries and lorries in a dangerous game of one-upmanship. The biggest flaw in Cameron's claim is that if the illegal immigrants so desperate to get to England that they'll live in filth for years spending day after day trying to get here illegally are already in England then they won't be setting up bases this side of the border to smuggle themselves through the border they've already crossed. Unless the Tories have got a plan to declare independence as the Conservative Republic of Kent and put up border fences to keep the Brighton communists at bay ... that would explain it and it's probably one of their contingency plans. Outside of the EU we will be able to control our borders, allowing only the quantity and quality of people that the country needs to settle here. The bilateral treaty that the UK has with France that allows UK authorities to police the border on the French side has nothing to do with the EU and leaving the EU would have no effect on it.